Do you need help to develop your idea? EstBAN has cooperation agreements with Tehnopol Startup Incubator and Tallinn Business Incubator to increase the investment readiness of startups, offer EstBAN members and (potential) portfolio companies trainings, guiding and consulting. Tehnopol Startup Incubator is connecting business experts, international coaches and mentors, cooperation and office facilities, wide network of investors, business boosting events. Please contact Martin or the team to ask for assistance! Tallinn Business Incubator wants to provide a supportive environment while also improving the business competence of enterprises. There are also practical workshops, networking seminars and educational field trips. Kristjan and the team is willing to help! 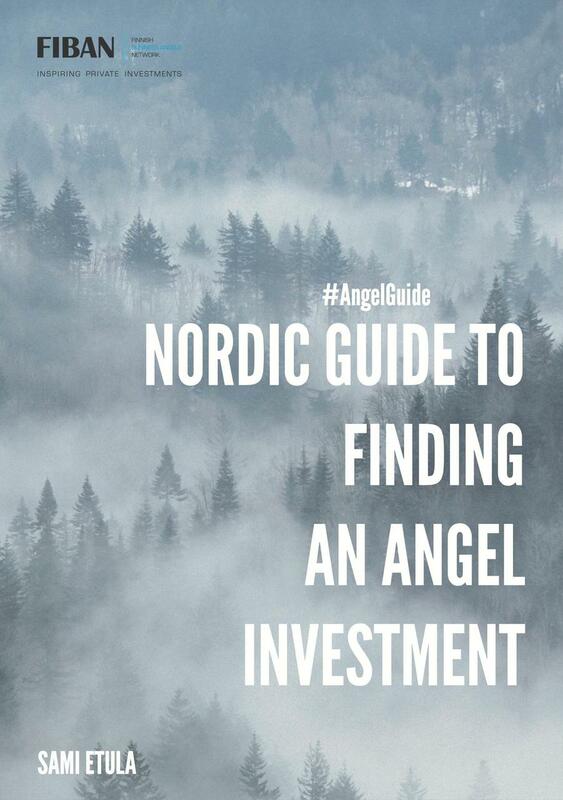 Nordic Guide to Finding an Angel Investment by Sami Etula (FiBAN) is aiming to help all entrepreneurs wondering where and how to find business angel investment. How a business angel thinks and what motivates him or her? What, how and under what terms do angels invest? What issues in your company need to be in order before you apply? What do business angels check in a company? How is a pitch made?